Ohio University Press, 9780821420393, 386pp. 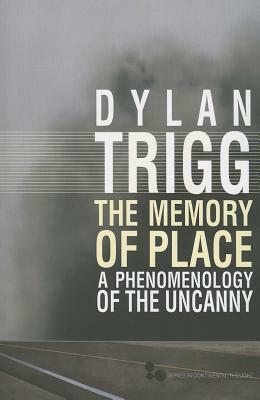 Dylan Trigg’s The Memory of Place offers a lively and original intervention into contemporary debates within “place studies,” an interdisciplinary field at the intersection of philosophy, geography, architecture, urban design, and environmental studies. Through a series of provocative investigations, Trigg analyzes monuments in the representation of public memory; “transitional” contexts, such as airports and highway rest stops; and the “ruins” of both memory and place in sites such as Auschwitz. While developing these original analyses, Trigg engages in thoughtful and innovative ways with the philosophical and literary tradition, from Gaston Bachelard to Pierre Nora, H. P. Lovecraft to Martin Heidegger. Breathing a strange new life into phenomenology, The Memory of Place argues that the eerie disquiet of the uncanny is at the core of the remembering body, and thus of ourselves. The result is a compelling and novel rethinking of memory and place that should spark new conversations across the field of place studies. Dylan Trigg is a postdoctoral research fellow at University College Dublin, School of Philosophy. He is also a visiting researcher at Les Archives Husserl, École Normale Supérieure, Paris. He is the author of The Aesthetics of Decay and has published widely on phenomenology, continental philosophy, and aesthetics. He lives in Dublin and Paris.